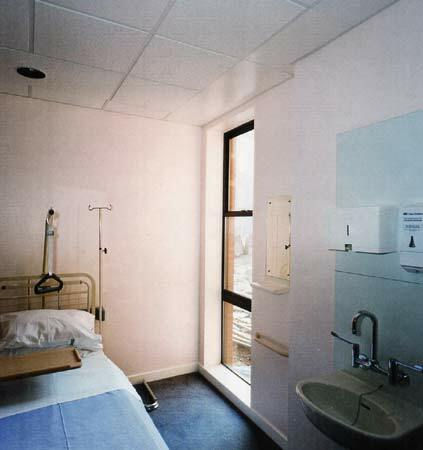 LPHW Radiant Panel in the photo above in wards at Burton on Trent Hospital is typical of BGP Services installations in a number hospitals up and down the UK. Addenbrooke's Hospital in Cambridge has a significant number of BGP's panels in various phases by a number of contractors. Ely Hospital, the former RAF hospital, has a number too. Radiant panels are ideal in sports halls, libraries where other types of heat emitters are impractical. BGP has also done a number of prisons in the UK where security and safety of inmates and staff is paramount. In the days when BG was first formed as a company almost 4 decades ago they were separately known as Alpha Radiant Panels but today all come under the name of BGP Services name.